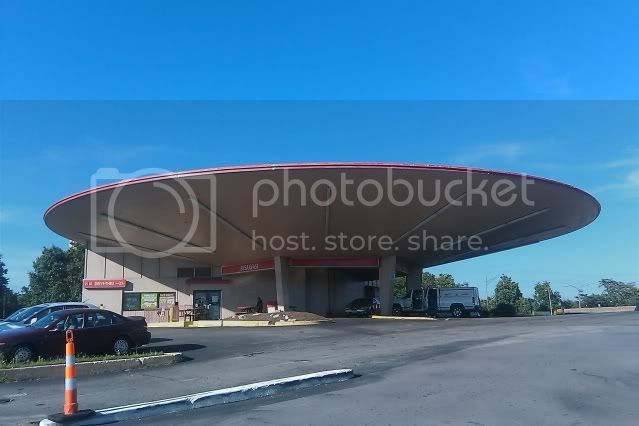 If you are from St Louis (or even if you're not - it was mentioned on American Public Media's Marketplace Morning Report on Thursday morning), you probably heard this week that the owner of our beloved "flying saucer" wants to tear it down and replace it with more "pedestrian friendly" retail shops. As if we don't have enough vacant storefronts in this city already. The building started life as a gas station and is part of the Council Plaza development, which is on the National Register of Historic Places. 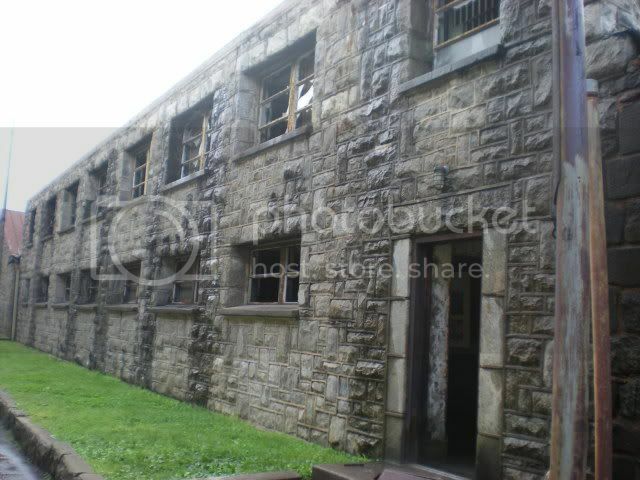 Sadly, being on the NRHP doesn't prevent a building from being demolished. Just to be clear, this is about saving the BUILDING, not Del Taco. Even though I'm sure the St Louis University students would rather have a 3am burrito than another strip of retail stores, the local Del Taco franchise has declared bankruptcy and the business is for sale. The preservation effort is about saving this mid-century modern masterpiece from the wrecking ball. We don't want to lose this like we lost The Parkmoor to Walgreens or the Coral Court to a subdivision. Bleah. For more information on how you can get involved, check the Save St Louis Del Taco Facebook page. Click "like" if you are a Facebook user! Over 10,000 people have "liked" this Facebook page in just a couple of days, and people are constantly adding updates and ideas (there's also a lot of crap, but that's Facebook for you). 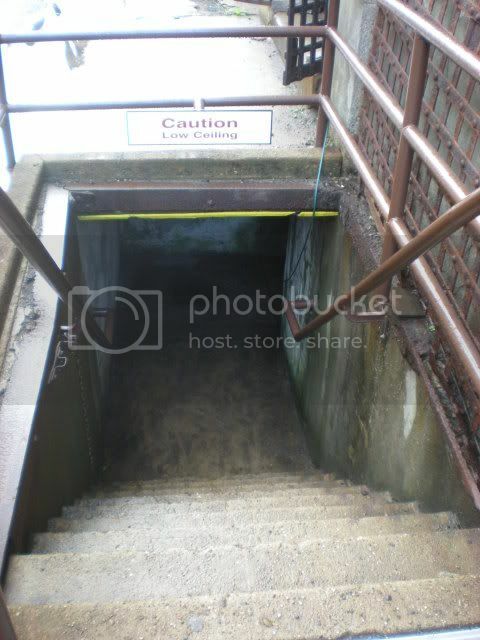 You can also sign a petition to be presented to the Board of Aldermen at change.org. 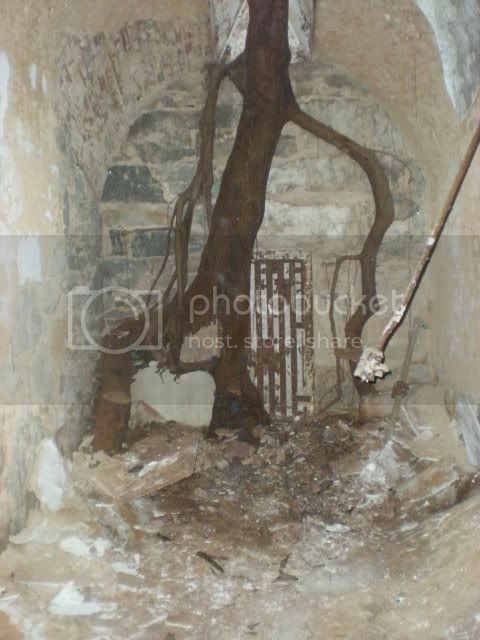 As promised, I am back this week to tell you more about Eastern State Penitentiary in Philadelphia, PA. Last week I posted pictures with no explanation because I wanted to give you an idea of the scale of the building and how strange it is to wander through this huge, crumbling complex with relatively little company. If there's anything from last week's pictures that you want to know more about, leave a comment and I'll see what I can do to find answers. 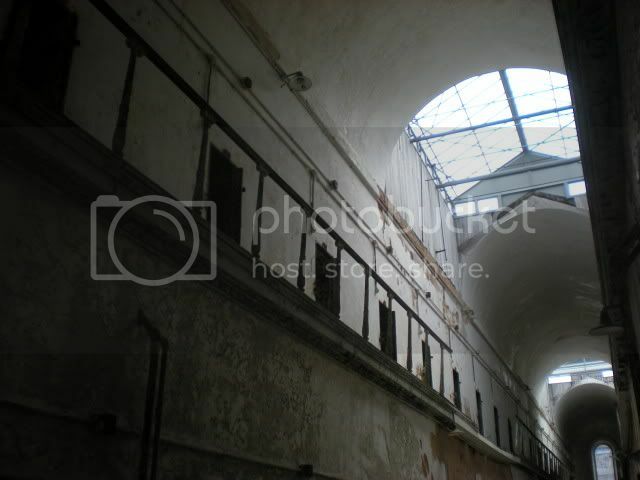 Eastern State was the world's first penitentiary, a prison designed for inmates to reflect on their crime and become truly penitent. 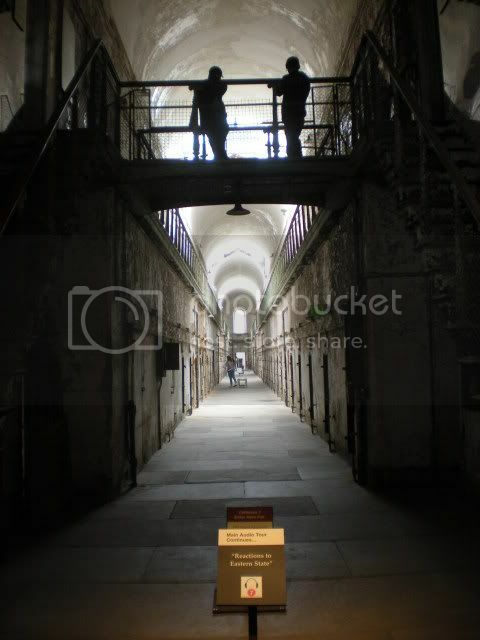 Its iconic wagon wheel design, which allowed guards to look down each cell block from a central rotunda, was copied by over 300 prisons worldwide. 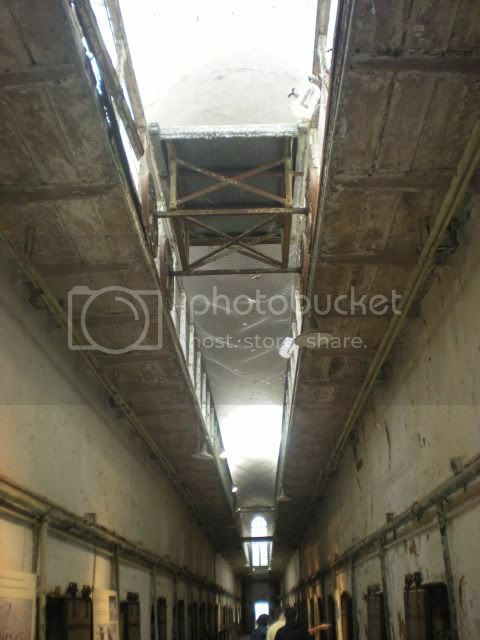 When it was opened in 1829, two of the cell blocks were completed, with each prisoner in a single cell with a single skylight and a door out to their own private exercise yard. 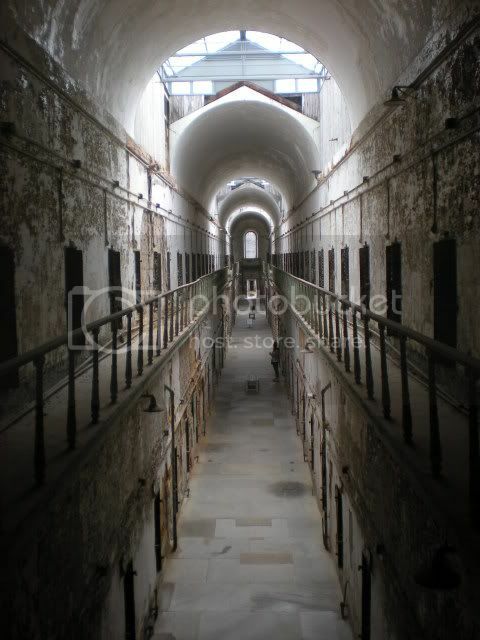 This new system, which came to be called the Pennsylvania System, was based on the principle that criminal behavior is a result of environment and thus was designed so that prisoners were in solitary confinement for the duration of their sentence. 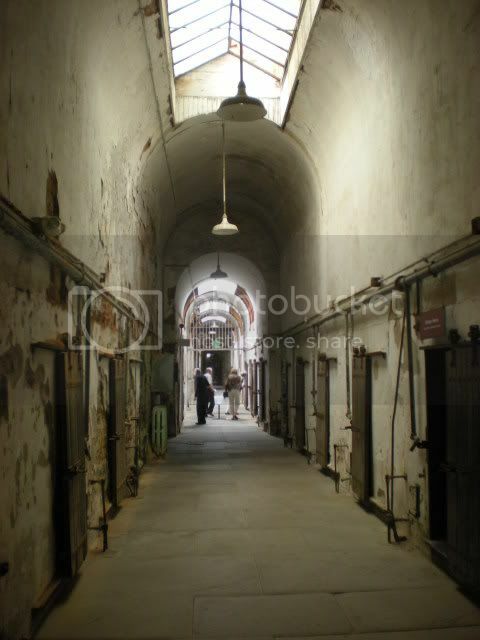 Rarely did prisoners ever leave their cell/exercise yard, and if they did, they wore masks so they would never come in contact with other prisoners. 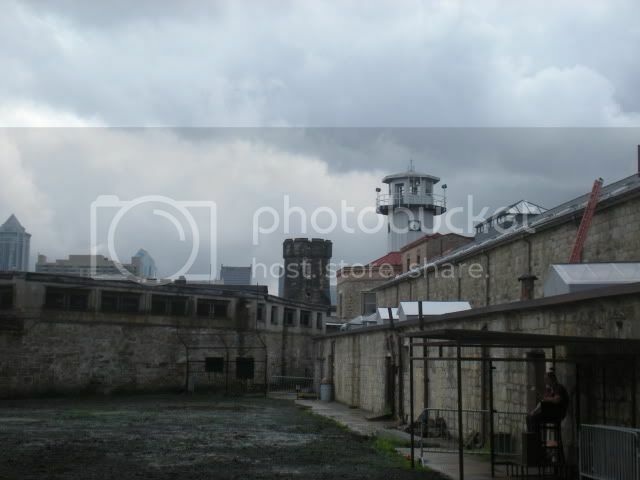 The penitentiary was completed in 1836, with a total of seven cellblocks (1-3 are single-story and 4-7 are two-story) and a capacity of 450 prisoners. 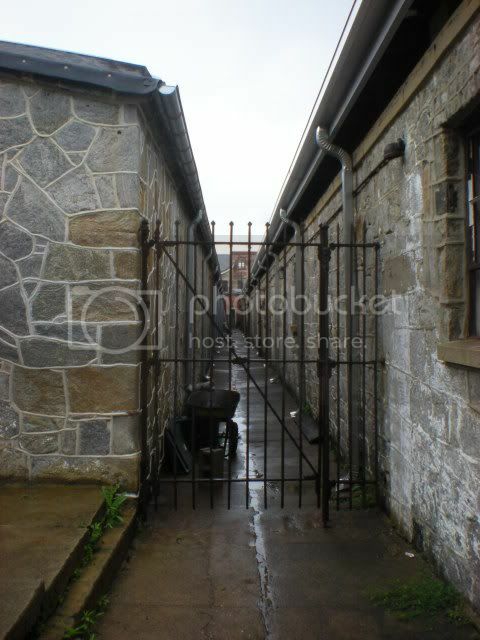 Later, four more cell blocks, without exercise yards, are added to the space between existing cell blocks. 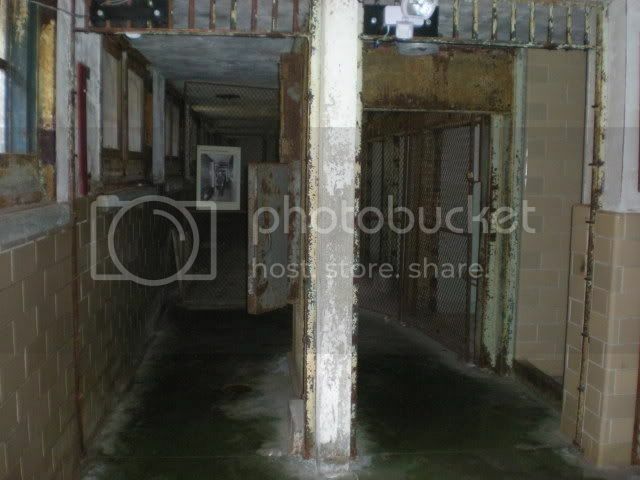 Over the years, two three-story cell blocks were also wedged in. 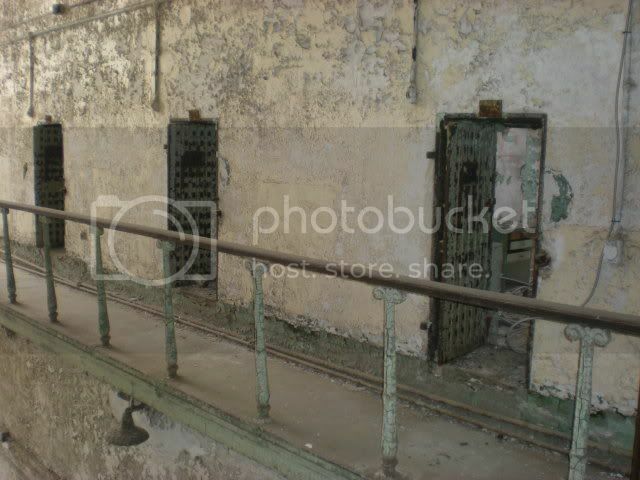 By 1913, the Pennsylvania System of solitary confinement is officially abandoned at Eastern State in favor of the New York System (also known as the Auburn System) which held that inmates should work together in groups in enforced silence. I'm sure the fact that they needed more space was a prime reason for the switch. I have to skip a lot of notable moments in history due to space constraints, but there is a very informative timeline on the website. Eastern State closed in 1971. 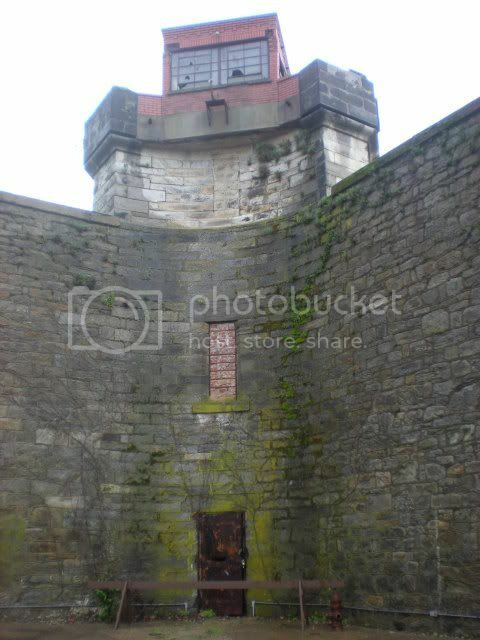 When it was built, it was more than a mile away from Philadelphia, but in the course of 140 years the city spread out, and now the prison seems like it's practically in the middle of town. We walked down 22nd Street from the Mutter Museum and it was certainly an odd sight to see this fortress looming in the distance. 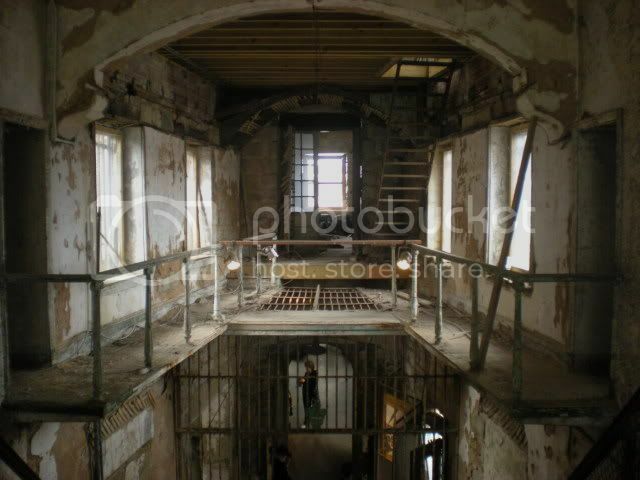 After its closure, Eastern State was abandoned and became a virtual urban jungle. To keep a long story relatively short, there was much debate over what to do with the property, including tearing it down and building condos, a story familiar to all of us who reside in historic cities. 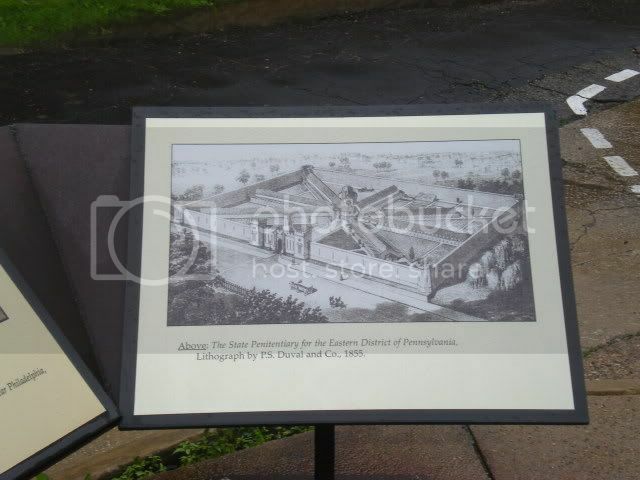 A task force of architects, historians, and preservationists mounted a successful campaign to stabilize the building and preserve it as a historic landmark, using grants from the Pew Charitable Trusts and William Penn Foundation, and funds from their famous Halloween fundraisers. 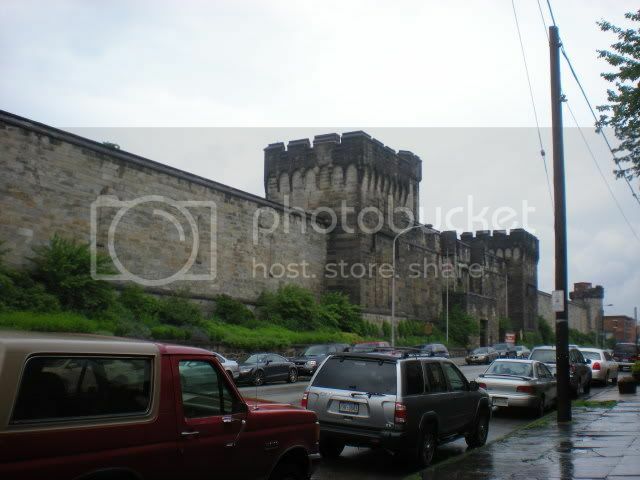 In 2001, the Eastern State Penitentiary Historic Site nonprofit assumed the title from the City of Pennsylvania. 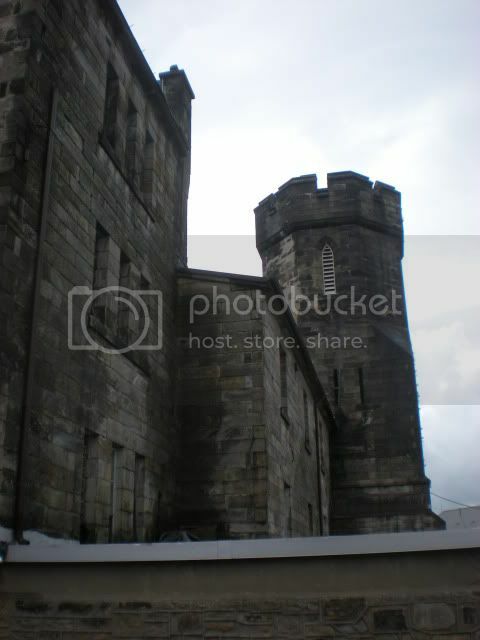 Eastern State Penitentiary was used as the mental institution in the move 12 Monkeys, a Southest Asian prison in the movie Return to Paradise, and several other movies and music videos. 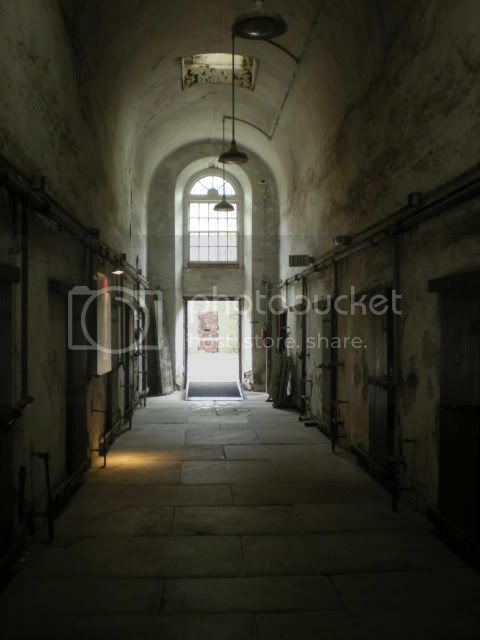 The Voices of Eastern State audio tour is narrated by Steve Buscemi, who discovered the prison when scouting for a movie location. I said last week that I wished that I could include the Steve Buscemi experience, and it turns out I can! 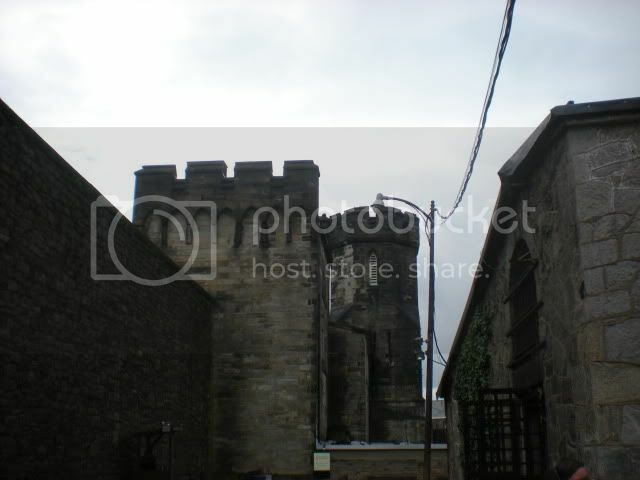 You can hear a portion of the audio tour on the website. Steve Buscemi talks about Eastern State. The audio tour is fantastic. 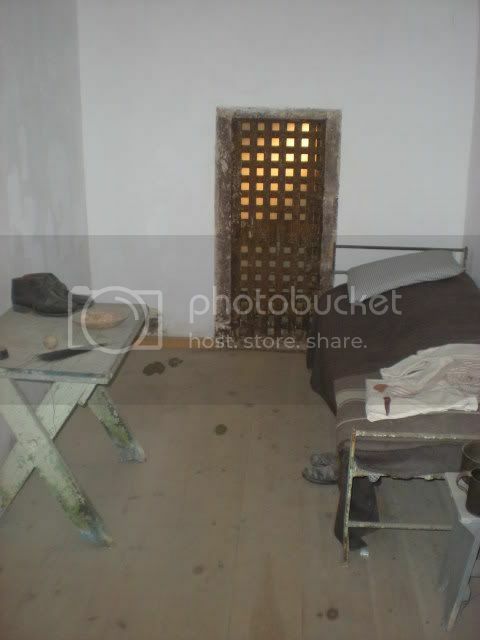 If I remember right, there are about 30 stops on the guided tour, which lasts about 90 minutes, but then there are at least another 20 extra stops you will discover as you wander the grounds that give extra detail about prison life (and the obligatory ghost mention). 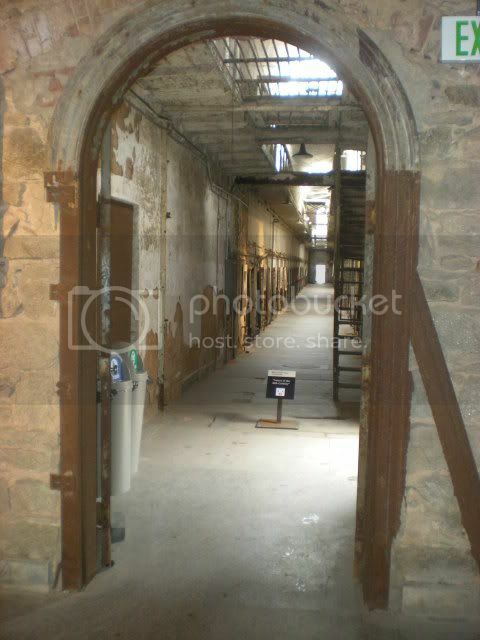 You could easily spend the day at Eastern State. One of the things I thought was really cool was that they have incorporated a series of art installations into the prison grounds. One of them was a surprise, as I was using my camera flash to see inside a lot of these dark cells (which led to 300 pictures to sort). 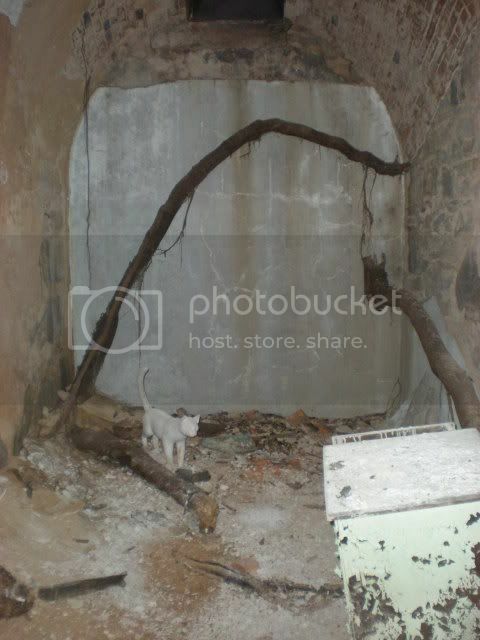 I looked at my screen after snapping one such picture and saw this white cat. 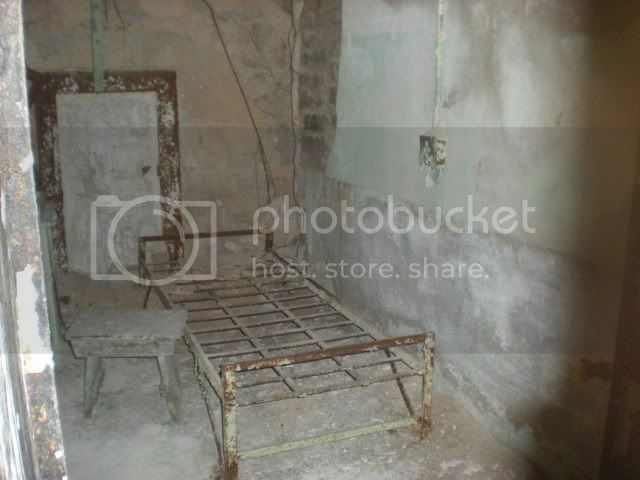 It seemed oddly intentional, and yet, that cell was totally dark. Later, as we were reading signs on the grounds, we discovered that this is an art installation called The Ghost Cats by Linda Brenner, dedicated to Dan McCloud ("Dan the Cat Man"), who came three times a week for 28 years after the prison closed to feed the stray cats who took up residence in the prison. In the early 90s, the Spayed Club trapped and spayed/neutered the cats, and the colony numbers dwindled until the last of the cats died in 2002 or 2003. There are 36 "ghost cat" sculptures in the installation, but I only saw this one. 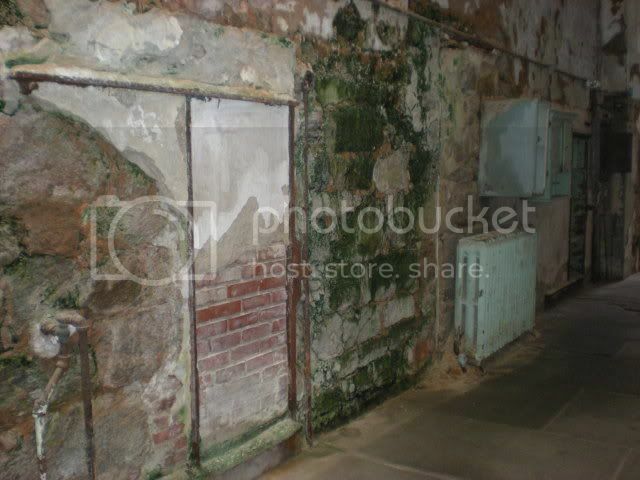 You can see more, and hear the audio, on the Eastern State website. 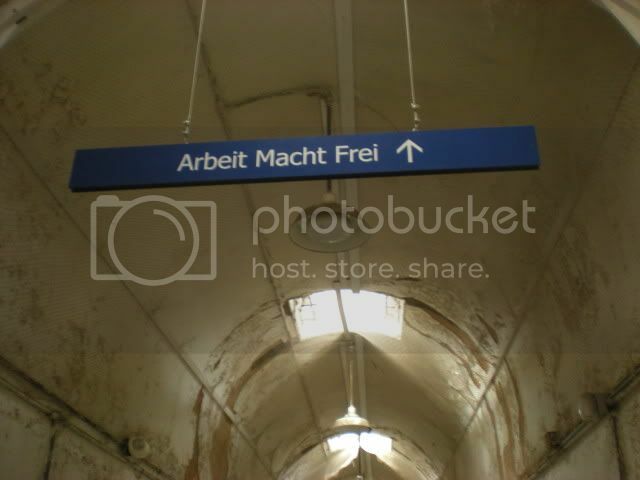 Above, Francis recognized "Arbeit Macht Frei" ("work sets you free") as being the sign over the entrance to German concentration camps. 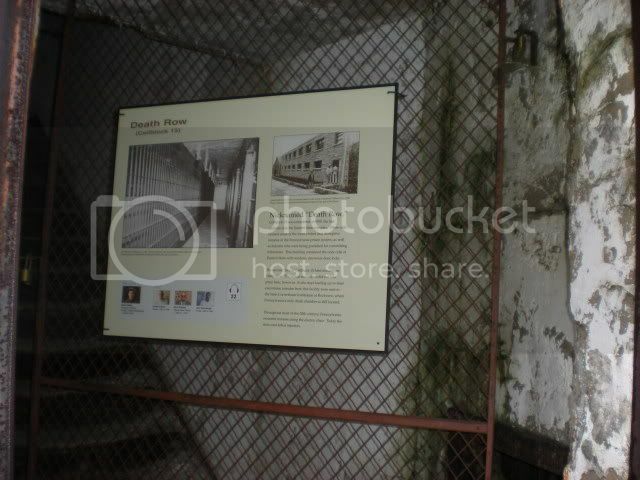 On Tour highlights locations of Dark Tourism, which is defined as "the act of travel to sites that have real or recreated death, suffering or the macabre as their main theme." 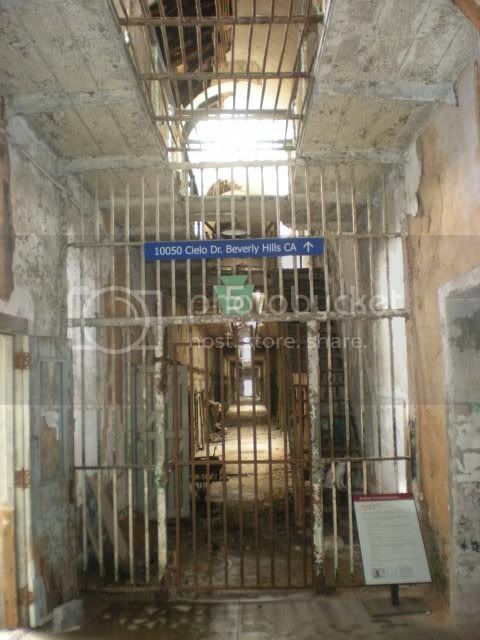 Kind of gave us pause for spending two hours touring a deserted prison. One last one: The People's Temple Agricultural Project, informally known as Jonestown, which was the home of Jim Jones' cult in Guyana where 909 Temple members committed suicide in 1978. 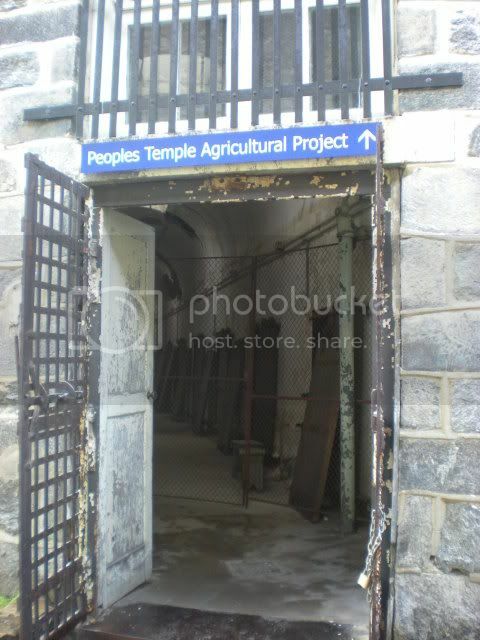 There are many more of these signs throughout Eastern State. There are currently five history exhibits and ten artist installations, and looking at the list, I feel like we only saw a fraction of them. 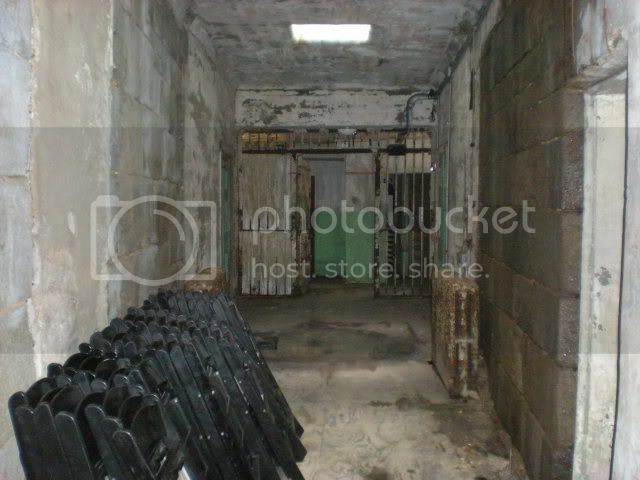 We are thinking about going back in the fall for Terror Behind the Walls, the Halloween fundraiser I mentioned earlier. 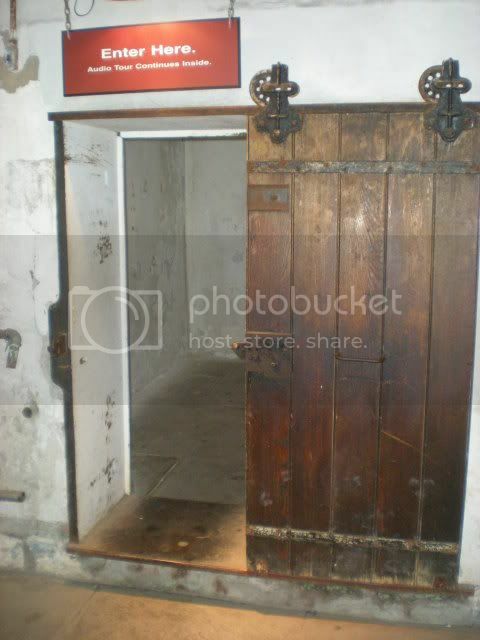 I'll be honest, having been there in daylight, the prospect kind of terrifies me, but I'm still eager to go back! 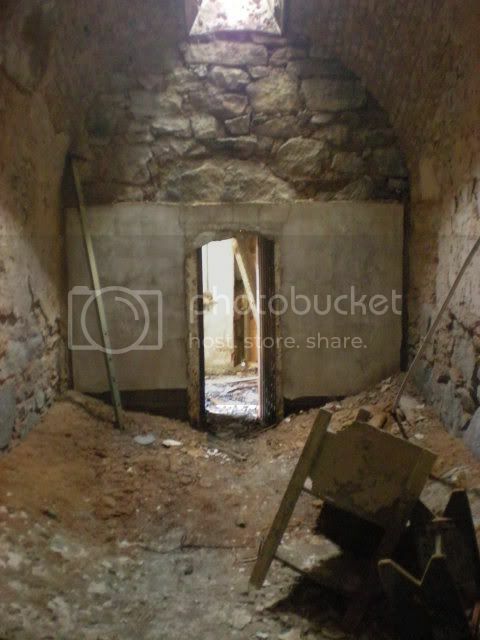 Any excuse to write another post about the spooky side of Eastern State! 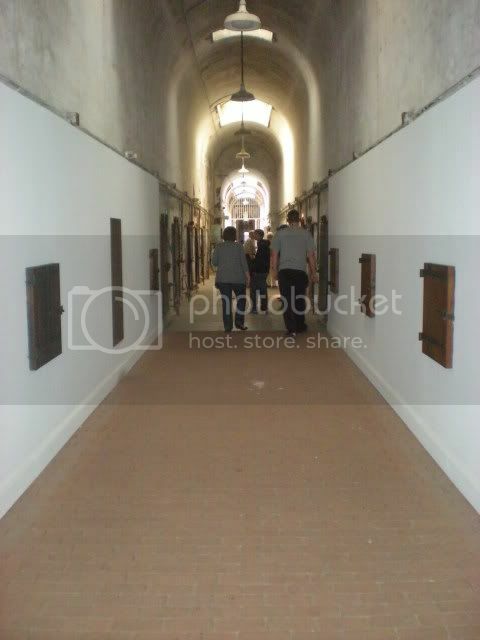 We spent at least two hours at Eastern State Penitentiary (in Philadelphia) and took over 200 pictures. I keep putting off blogging about it because if I do the usual informative style, you won't get the real vibe of the place. 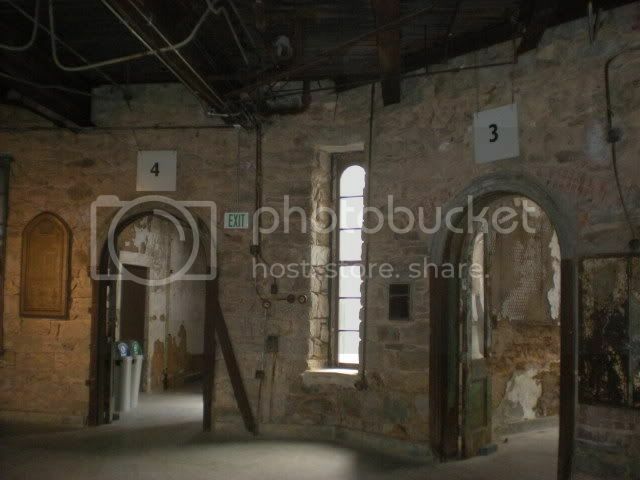 The best thing about Eastern State is feeling like you are wandering around an abandoned prison with Steve Buscemi (he narrates the audio tour), so this week I'm just going to post some of my favorite pictures. I'm sorry I can't give you the Steve Buscemi part. Still working my way through over 300 pictures taken in Atlantic City, so here is the post on Spirit Houses I promised a couple weeks ago. Posts might be a little sparse here for a couple months while we work on buying a house & getting ready to move, but I promise this one won't be abandoned. 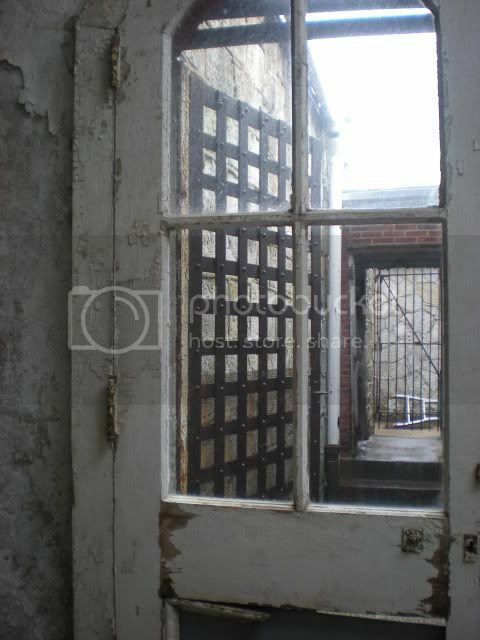 Bonus: the new house is 128 years old, so it may end up with a blog of its own for you historic house nuts! 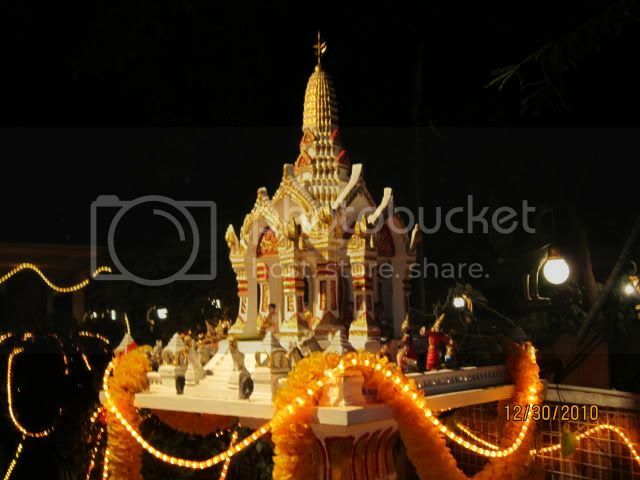 As for spirit houses, Thai people believe that spirits are all around us and influence our daily lives. Spirit houses are intended to give shelter to spirits, and to keep them happy. 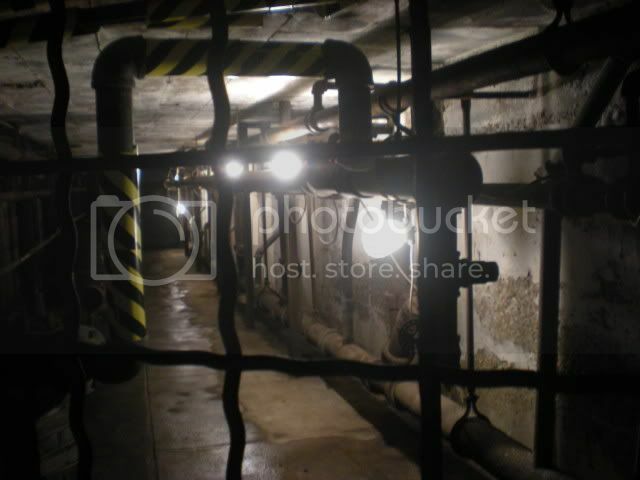 If the spirits are not happy, they can cause strife in the home or failure of a business. Spirit houses are not a do it yourself venture. 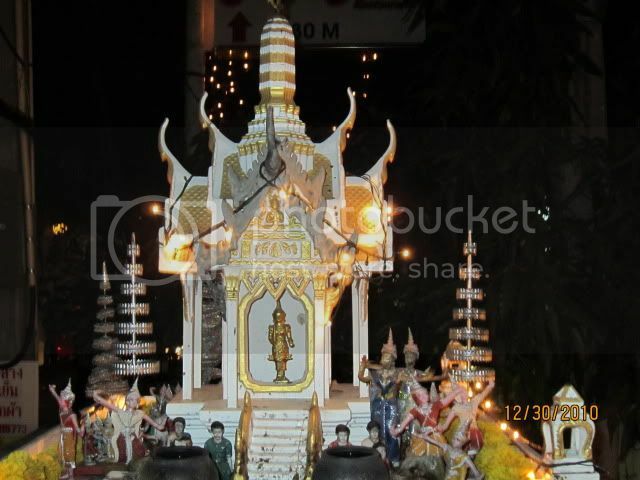 Only a professional spirit house builder can be entrusted to build a house that incorporates all the proper rituals and specifications that will keep the spirits happy. 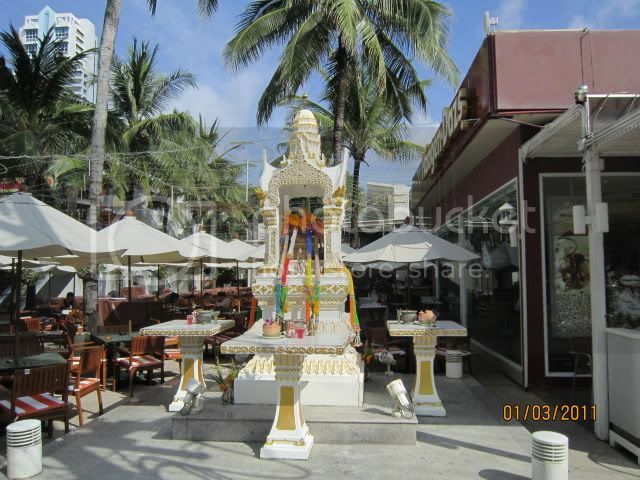 Here is a website that sells spirit houses. As you can see, there are many elaborate options and they are quite expensive. No shortcuts when it comes to keeping spirits happy! 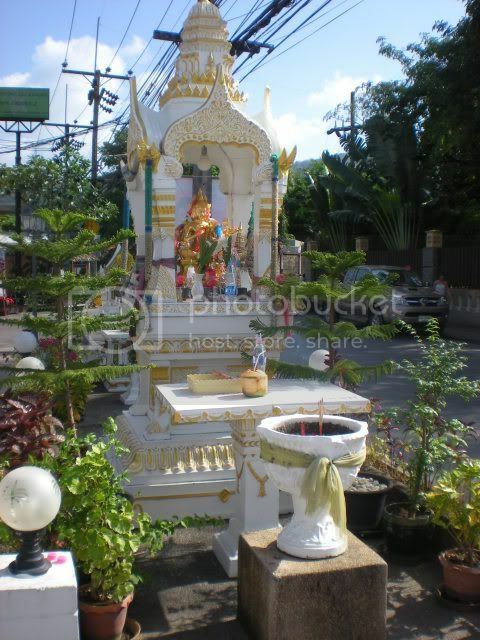 There are countless spirits in Thai folklore, but the ones that tend to get the more attention, and have permanent spirit houses, are the Guardian Spirits of the Land (Phra Bhum Jowthee), specifically the Guardian Spirit of the House and the Guardian Spirit of the Garden. The other seven Guardians of the Land are the Guardian of Gates and Stairwells (this is why you always step OVER the doorstep in a Thai house - because that's where the guardian lives), the Guardian of Forests, Mountains, and Fields, Guardian of Storehouses and Barns, Guardian of Animals, Guardian of Temples, Guardian of Water, and Guardian of Military Forts (yep). As I mentioned in the post about the Temple of the Emerald Buddha, Thai religion is a mix of Buddhism, Hinduism, and Animism. 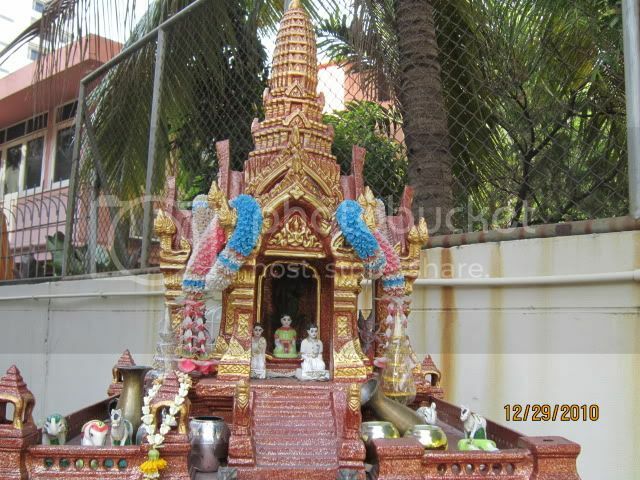 The spirit house would be primarily Animism, but if proper spirit house construction is followed to the letter, it would also require the attention of a Hindu priest. Few households go to this extreme, though. So there you have it. 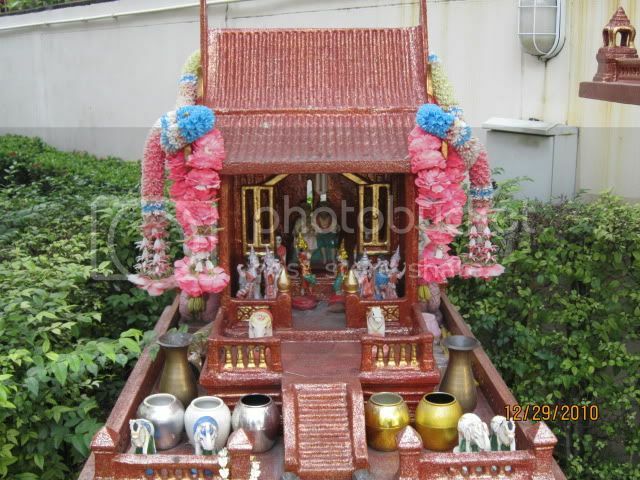 If you ever go to Thailand, the spirit houses will be one of the first things you see and wonder about, and now you have the answer. If the spirits are cared for, they will care for you. I think it's a pretty neat custom, don't you?